I have to admit, I was a little jealous when I heard that Jennifer was taking a trip to sunny Florida. Even as an adult, the thought of heading to Orlando - the land of Disney and Harry Potter and rides and warmth - is ridiculously appealing. But even if we're stuck at home, we can still enjoy a fairy tale or two. They might even end up being better than the fables we remember as kids! Long before our history is written, a Nord man and South Pole woman meet and fall in love. Though the Earth has different plans for the pair, its magnetic field preventing two bodies from polar opposites from ever touching, they are married. A lifelong storyteller, the Nord man echoes years worth of voices and myths, hoping to fill the void between the couple. The tales Greenberg's gorgeous graphic novel fold into one another like a set of Russian nesting dolls, with storytellers telling stories of storytellers telling stories, delicately building The Encyclopedia of Early Earth's dreamy world. Though many of the myths come from familiar roots, they are infused with a slight twist of humor and are told in conjunction with new stories, making them feel fresh and modern. Jeremy Johnson Johnson has felt like an outsider most of his life. He’s been supporting his reclusive father ever since his mother left them and recently admitted to his classmates that he can hear voices. Though it causes the townspeople of Never Better to shy away from him, Jeremy knows that being able to hear the voice of Jacob Grimm, famous half of fairy tale writing pair The Brothers Grimm, is a gift. When Jeremy begins a friendship with popular Ginger Boultinghouse, she encourages him to take risks and break free from his usual routine. But these changes set off a series of events that will expose Never Better’s secrets in a tale that masterfully echoes the work of the Brothers Grimm. Nothing like the princesses you see in Disney cartoons or even Brothers Grimm, this book is packed with mini biographies of real princesses and their real-life stories. Divided into sections labeled Warriors, Usurpers, Schemers, Survivors, Partiers, Floozies and Madwomen, Princesses Behaving Badly gives readers a fascinating (and often funny) peek at real women from history. This is the perfect book for a curious high school student, bored by the limited old whiten men in their history text, or anyone who loves picking up bits and pieces of the past. 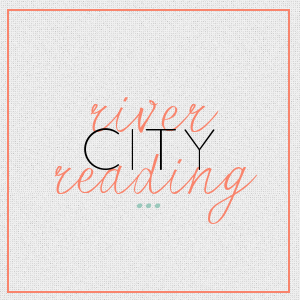 Thanks so much to Shannon from River City Reading for guest posting today! Great recommendations! I have two of the three on my TBR already! The Princesses behaving badly sounds awesome! I always love when princess type stuff gets turned on its end...I'm morbid that way. Yay for The Encyclopedia of Early Earth! Far Far Away sounds most appealing to me. Florida does, too! I've seen Far Far Away about but never looked in to it too much, having done so now I've just added to my wishlist. Thanks for the recs Shannon! And I too am pretty jealous of Jen's trip! Those all look wonderful! I have such a weakness for fairy tales and the like... new titles for my to read list too! I have Far Far Away on my shelves! I may read this one soon. I'd read Princesses Behaving Badly though Far Far Away sounds the best to me!